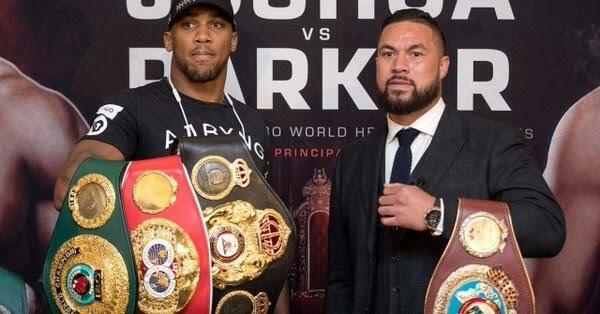 WBO Heavyweight boxing champion Joseph Parker is determined to make chatshow host Graham Norton eat his words for his ‘King of Pies’ taunt at the end of the month. It appears Norton’s off the cuff comments to Joshua on his chat-show in January has provided motivation for the 26-year-old kiwi fighter. “Camp is going fantastic. I feel like I’m in great shape”, said Parker, talking to New Zealand radio station, The Rock. “When he (Graham Norton) called me the ‘King of Pies’, I’m going to take my shirt off at the weigh-in and honestly, see if I’ve been eating pies or not! “I feel like I’m punching sharp, I’m moving well, making a lot of angles, movements, fitness is good, so everything is on track”. “I think my plans for the year are I fight Joshua and I beat him and then a re-match so that’s my plans for the year”.